Baxter Volkswagen Omaha offers the latest incentives from VW. Welcome to Baxter Volkswagen Omaha, a car dealership you can count on. Our Volkswagen dealership in Omaha, NE, has a longstanding tradition of going above and beyond to ensure you not only find the perfect new or pre-owned vehicle for your lifestyle, but to ensure you have a wonderful life with your new car. We’re known throughout the local Omaha community for our dedication to our customers and our charitable endeavors. We can never thank our customers enough for choosing us, so we like to give back to the organizations we know you’re a part of. We think of it as doing our part to be the best neighbors possible. Here at our Omaha VW dealer, we pride ourselves on being a better kind of dealership. Along with a slew of unique perks and a no-pressure atmosphere, we also offer our customers a comprehensive inventory of new and used Volkswagen models for their perusal. Whether you’re shopping for a new Volkswagen Jetta or Passat sedan, you’ll find a variety of color and trim options. If you’d prefer a family-friendly SUV, don’t hesitate to check out the Volkswagen Tiguan or new Volkswagen Atlas. Additionally, we have all your favorite Volkswagen models available as high-quality used cars, too. You’ll find pre-owned VW Touareg SUVs, used VW Golf models and Certified Pre-Owned Beetle cars on our lot. 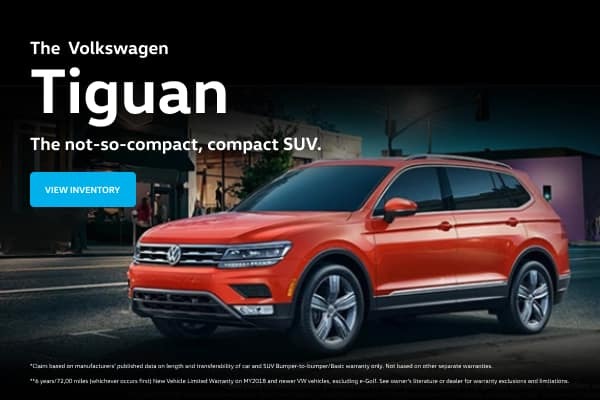 Be sure to take a look at our current Volkswagen specials to see if there’s a way you can save on your new vehicle, and then chat with our VW financing team to discuss your buying and leasing options. Because our Omaha Volkswagen dealership makes it a point to ensure you have a wonderful life with your car, you’ll soon discover that we have an outstanding Volkswagen service center where you can get all your routine maintenance and major car repairs taken care of. From oil changes and tire rotations to brake service and A/C repairs, we do it all. We also sell a wide variety of OEM Volkswagen parts, which we use in all our repairs. This way, you can ensure that your car is being fixed with the genuine components it requires to run at its best. Baxter Volkswagen Omaha is located at 17220 Burt Street in Omaha, NE, which is just a short drive away from Papillion and Lincoln, NE. With our huge inventory and expert service, we’re also well worth the trip from Des Moines, IA, and beyond! Stop by our Volkswagen dealership in Nebraska today.